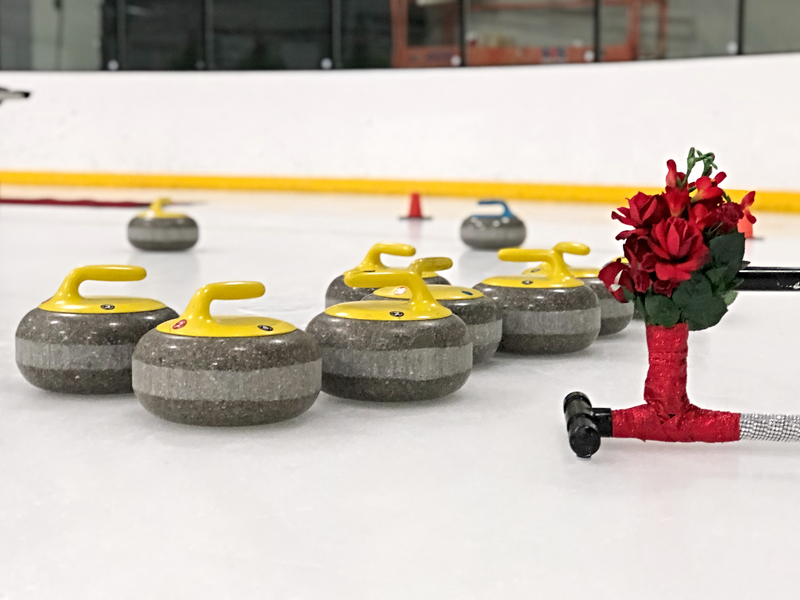 Did you know you could give curling a try in the Rocket City? In a city that sees very little ice and snow in the winter months, it’s a question that sounds, well, silly. Thanks to the folks at the Huntsville IcePlex though, it’s an activity locals and visitors alike can try for themselves. Let’s take it back to the basics. Curling is an Olympic sport made especially famous by Canadian curler Jennifer Jones during the 2016 Winter Olympics in South Korea. In actuality, the sport has been around for a lot longer. It originated in Scotland back in the 1500s. It quickly grew in popularity across Europe because it could be played on frozen ponds and lakes. Similar to shuffleboard, the concept of the game is fairly straightforward. Players are divided into teams of three or four players as they take turns attempting to slide a giant granite stone across the ice. Team members called “sweepers” use brooms to quickly melt the ice ahead of the stone to better guide it toward the mark. The team with the stone closest to the center, wins. Because the granite stones weigh upwards of 45 pounds, the introductory class at the Huntsville IcePlex is best suited for adults and teens. For $15, members of the Huntsville Curling Club will guide you. They talk you through the steps of curling, explaining techniques and the rules of the game. It’s a very interactive 90-minute class, and the guides are eager to make sure all participants get as much practice time as possible. If the students seem to really get the hang of the different movements and brushing techniques before the 90 minutes is complete, league members will come in to help put on mock matches. The beauty of curling is that it’s a sport that’s very much open to adults of all ages and abilities. The guides at the Huntsville IcePlex make sure, for example, that men and women who may have trouble crouching down to glide the stone across have a specialty stick to propel the granite stone across the ice instead. They’re incredibly encouraging and energetic; it’s the type of activity that’s great for any newcomer to the area — or even one just passing through. Perhaps one of the best parts about the curling classes at the Huntsville IcePlex is the ease of it. Participants really just have to show up in comfortable sneakers and a sweatshirt (it is an ice rink, after all). The Curling Club takes care of the rest. They have extra granite stones, brooms, and glide patches available for everybody who signs up for the class. A brief safety discussion and explanation of sport rules will be given upon arrival. 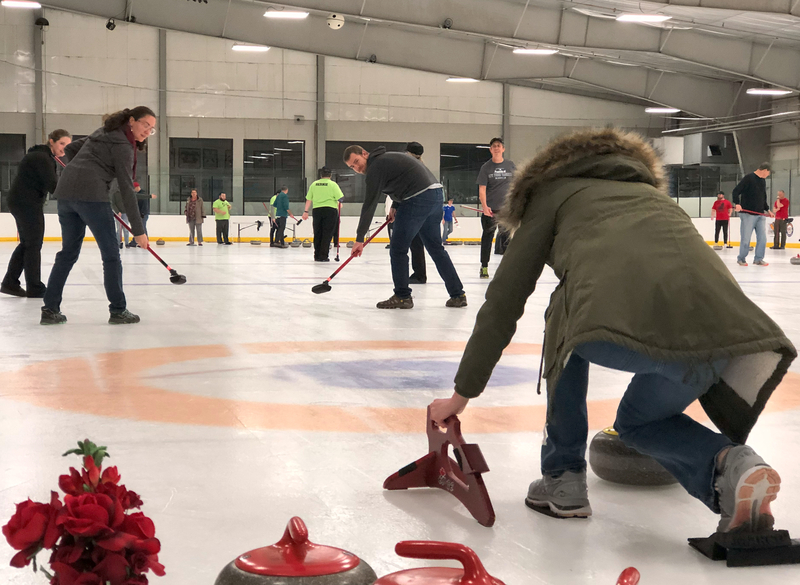 After the class, participants are invited to join the Huntsville Curling Club league, so they can come out to the IcePlex more frequently during the week. Even if you don’t decide to join the league, you’re considered part of the team and will be invited out to a post-club meet-up at a local restaurant. It’s a great way to spend a Saturday and meet some new people. Learn to Curl and Curling 101 classes are usually held on the weekends. A full schedule is available on the Huntsville Curling Club’s website. 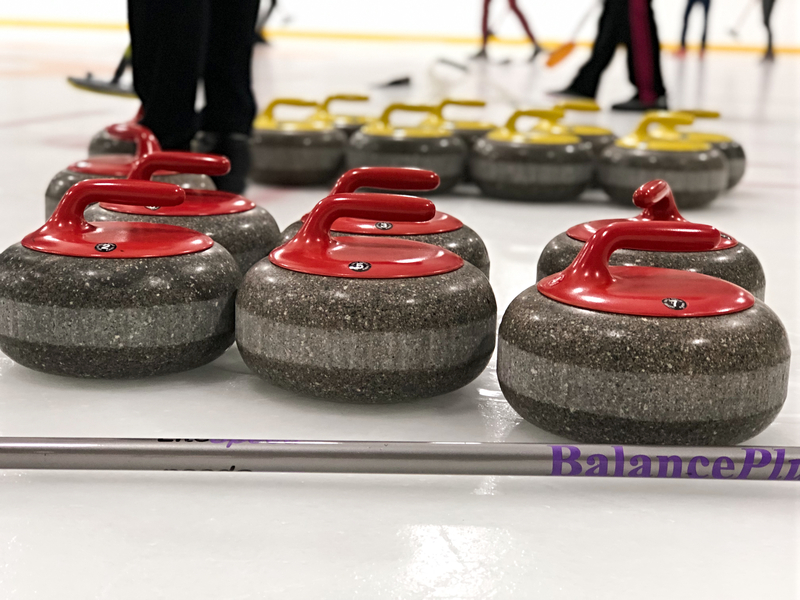 If you’re interested in signing up for a class, you can find information on the Rocket City Curling Club Facebook Page.